In a small business, there’s nowhere to hide an employee who isn’t pulling their weight. 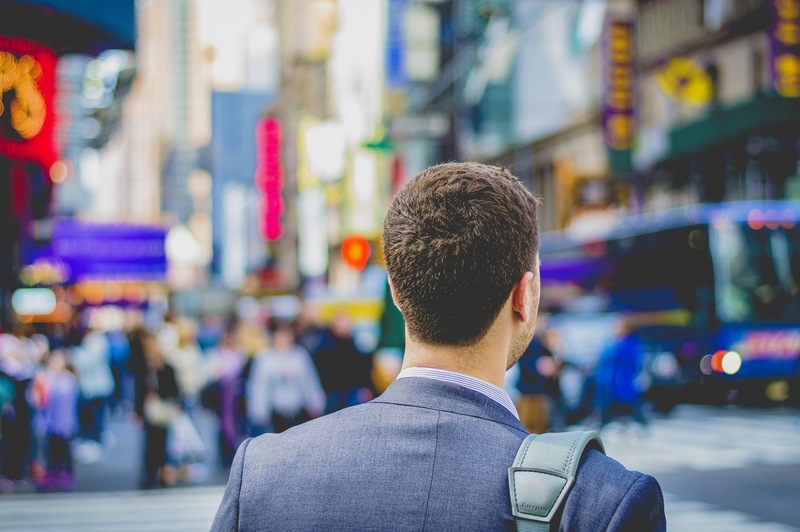 Hiring the right fit is a big part of small business success, but so is making the most of the awesome talent you have right under your nose. Sometimes, all it takes is a little imagination and a little rearranging to maximize the productivity of your team. Maybe you have a great employee in the wrong role. Or perhaps you’re making two team members work closely together when there’s natural friction between them. Assessing your employees’ personality types can help you sniff out the strengths and weaknesses of your team, so you can put everyone in a position to shine. Employees who use their strengths every day are six times more likely to be engaged in their jobs. In fact, many big companies, like Target, are incorporating personality assessments into their employment applications. Best For: Adjusting a team member’s responsibilities to help them perform better in their role. The test results assign you a four-letter code, ranging from ISTJ (someone who is quiet, organized, and dependable) to ENFJ (someone who is warm, motivational, and empathetic). The test should be taken every few years as your Myers-Briggs’ personality type can change with age. 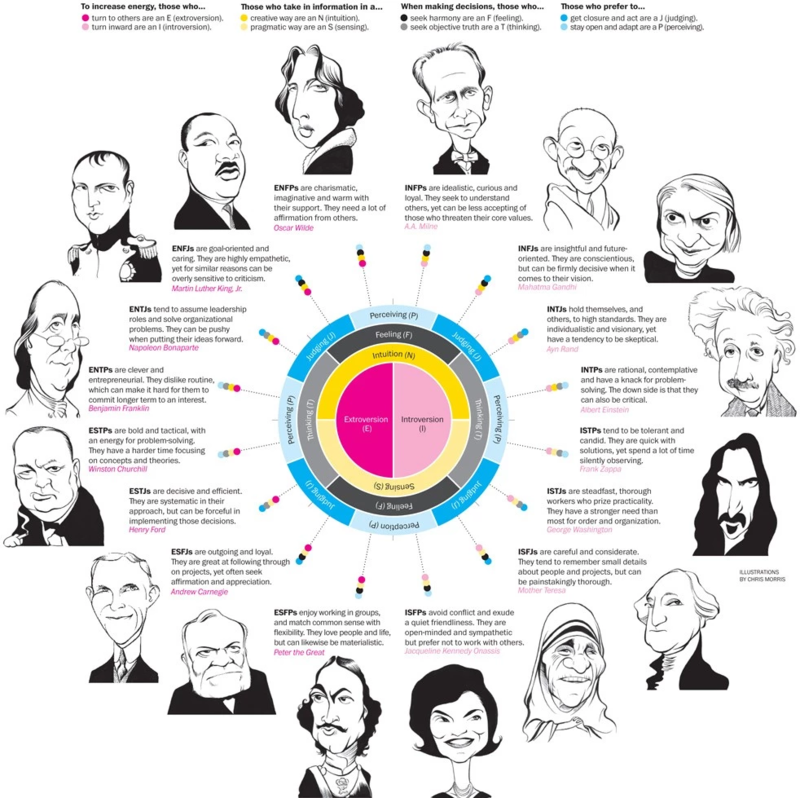 Myers-Briggs can help you uncover your team’s innate strengths and weaknesses. For instance, maybe you can leverage the ESFP (someone who’s energetic, sociable and resourceful) on your team to plan your company holiday party. 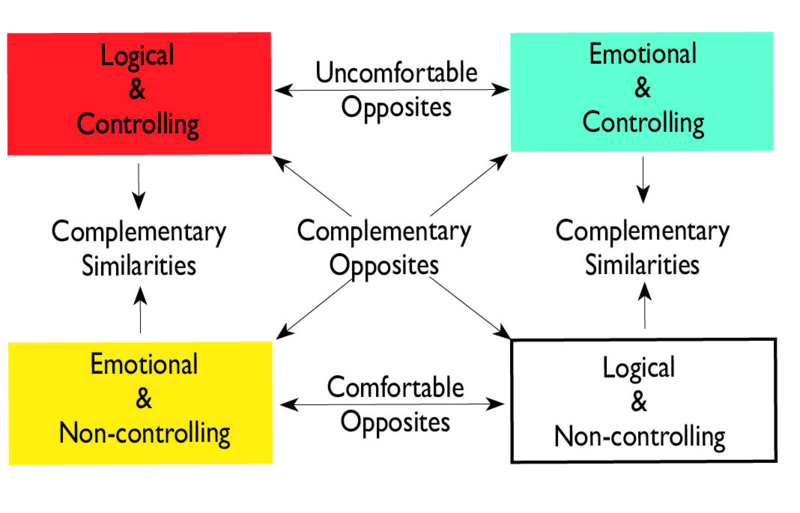 The ColorCode Personality Test is all about relationships. The test focuses on what makes people tick and the root of their emotions. ColorCode even has a Team Builder dashboard tool so you can easily administer the test to your team. The ColorCode test shows personality results in a pie chart of four colors: blue, yellow, red, and white. This test is unique in that it shows not just the personality type, but also uncovers the main motivations of your employees. Blue: Needs to have integrity, be appreciated, and is focused on creating strong relationships. Yellow: Needs to be the center of attention while also having fun, and loves social connections. Red: Needs to technically look good, be right, and makes for a strong leader. White: Needs to be accepted for who they are, while also being logical and tolerant of other people. When you know what drives your employees, you can build better, more effective teams. For instance, you might bring your White ColorCode Peacekeeper and your Red ColorCode Power Wielder together to lead an important project. Or you might avoid hiring another Red Power Wielder to a close knit team to avoid internal conflict. 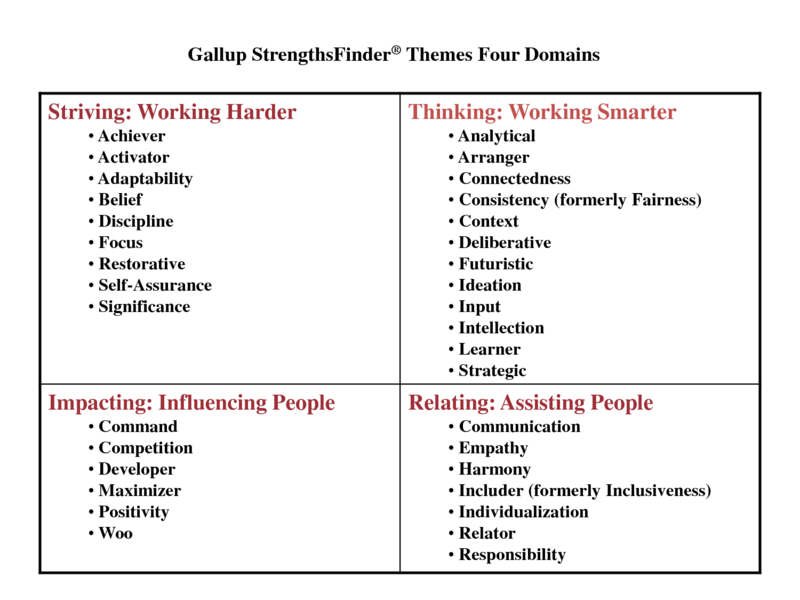 According to StrengthsFinder, teams that are focused on their strengths are 12.5% more productive. When you’re running a lean ship, every ounce of extra performance goes a long way. With StrengthsFinder, you can help your team members define their skills, talents and knowledge to uncover their top 5 strengths. Then, help them learn how to maximize their development. With everyone on your team playing to their strengths, you can increase morale, boost engagement, and increase the productivity of your team. No matter which personality assessment you choose, the ultimate value might not even be in the actual results. Giving your team members a chance to delve into their personality type, understand their motivations and uncover their strengths also drives home the fact that you care about them and want them to succeed. It just might be the best dose of motivation you can give your team to keep them engaged in your business and to put their best effort forward every day.